Today I did a little experiment that actually turned out really well. 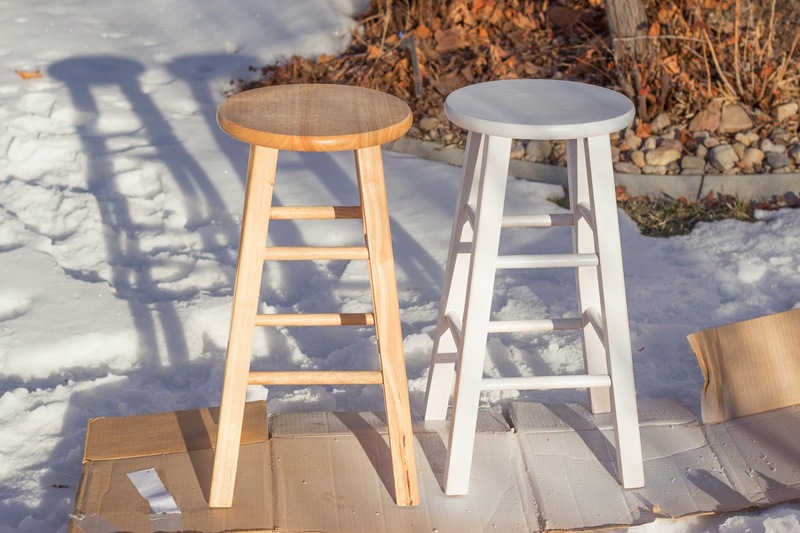 My stools needed some major updating, but I didn't want to spend a lot of time sanding. 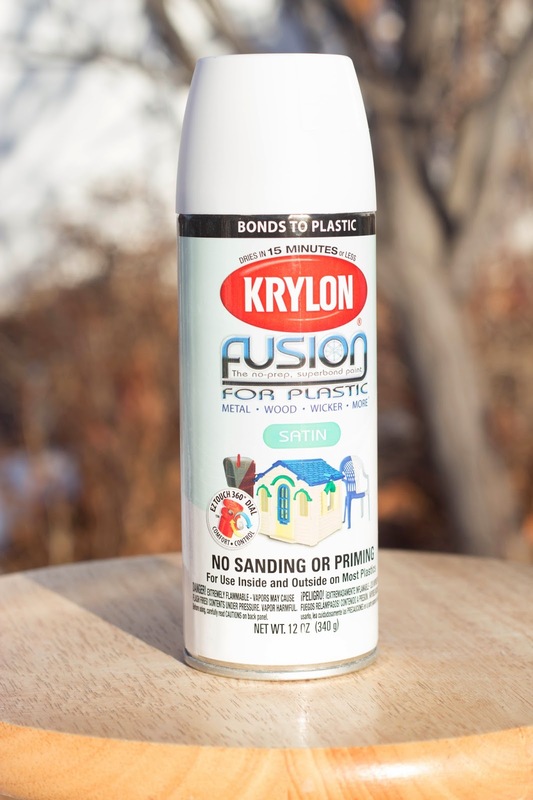 I also wanted the nice smooth finish that spray paint offers, so I got a few cans of this Krylon. I call it chalk paint spray because it requires no sanding or priming, you can use it on almost everything, and it dries in just 15 minutes. It sounded too good to be true. This was so easy! Just clean your piece really well with dawn soap and water before to paint. Did you guys notice all the snow? I was still able to get the job done in a whopping 10 degrees, yes you read that right. So can you paint in the cold? I guess so because it worked. The sun was shinning right on my work area so it warmed it up a bit. By mid-day it was almost at 30 degrees so I'm sure that was helpful. The can says the paint works best in 50 degrees but i found out today that it can be colder and still work. 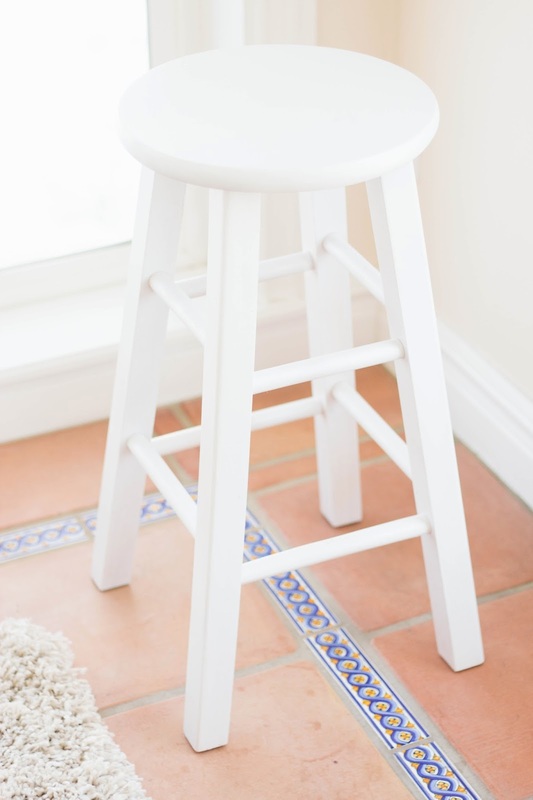 I'm loving the new look of my barstools, so fresh and clean.